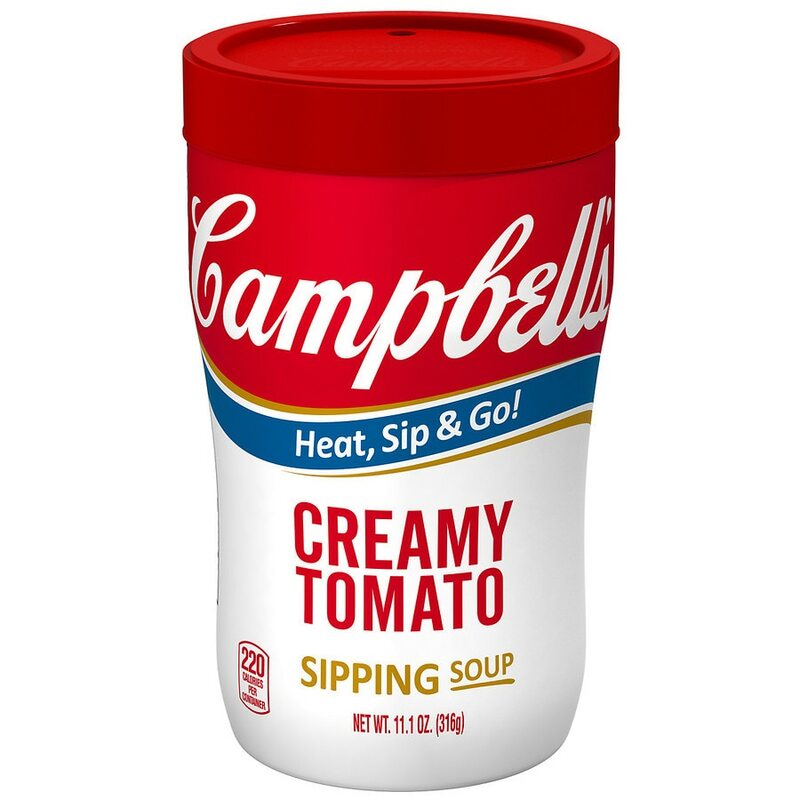 Don¿t let snacktime get lost in the shuffle¿take Campbell's® Soup on the Go Creamy Tomato Soup along for the delicious ride. Our creamy rendition of the timeless classic is packed in heat-and-go cups, enabling you to enjoy our flavorful comfort anytime, anywhere¿no utensils required. Satisfaction guaranteed. If you have questions or comments, please call 1-800-257-8443. Please have code and data information from container. Metal edges are sharp. Cup and soup are HOT after heating..